The Details: Night two of the two day party/show for people who couldn't make it to SXSW this year. 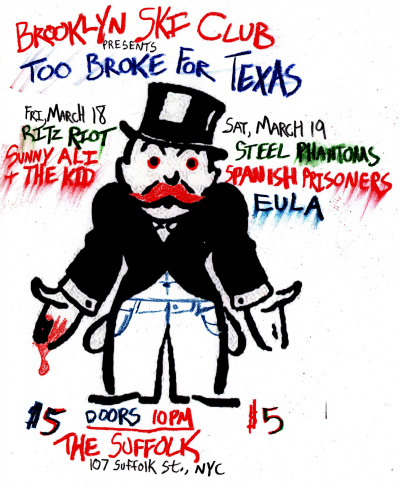 Steel Phantoms, Spanish Prisoners and EULA are your bands. The Suffolk is a rad LES space that's got a DIY vibe to it. There's weird art on the wall, a makeshift stage and a free pool table to keep you occupied between bands.